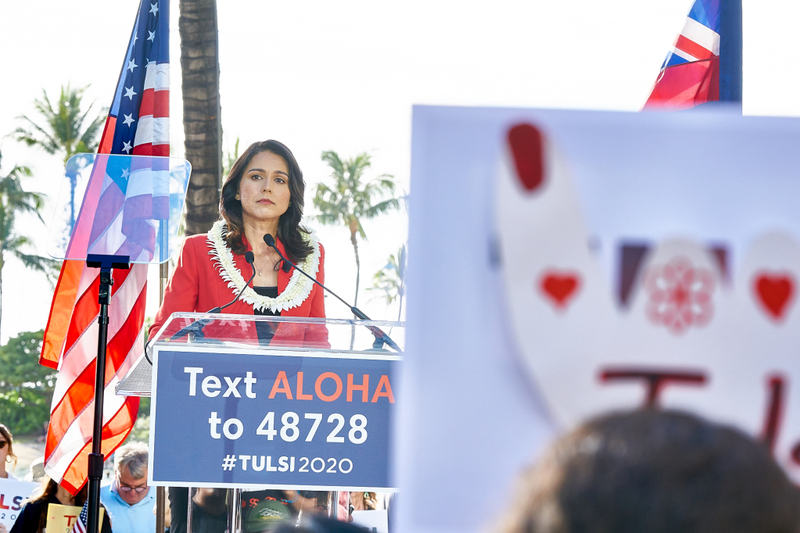 Tulsi Gabbard at her presidential campaign kickoff rally held on 2/2/19 in Honolulu, Hawai'i. 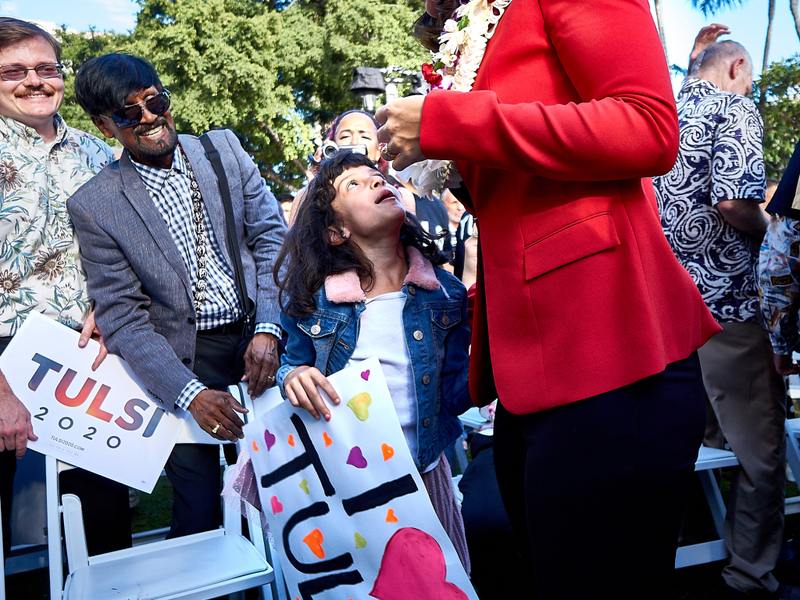 Congresswoman Tulsi Gabbard (D-Hawaii) launched her 2020 campaign for President of the United States on 2/2/19 in her home state of Hawai’i. 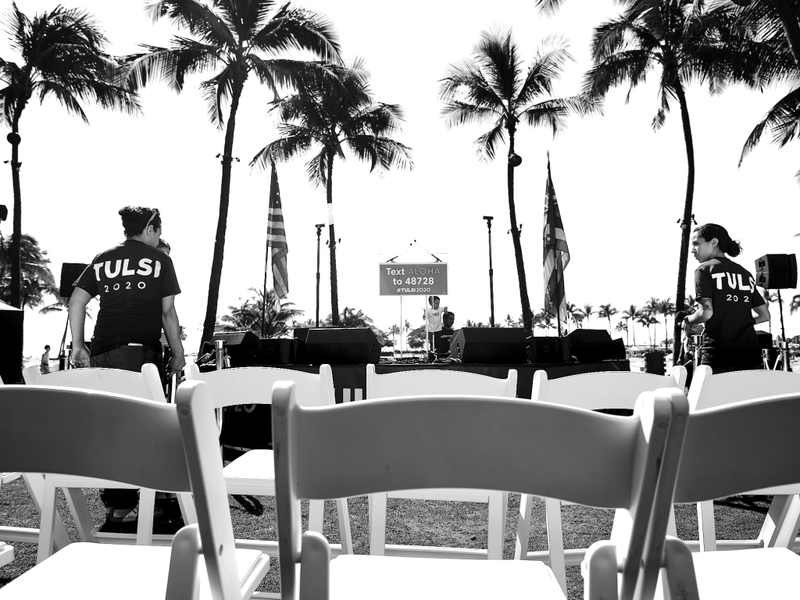 Staff prepare for Tulsi Gabbard’s presidential campaign kickoff rally held on 2/2/19 in Honolulu, Hawai’i. 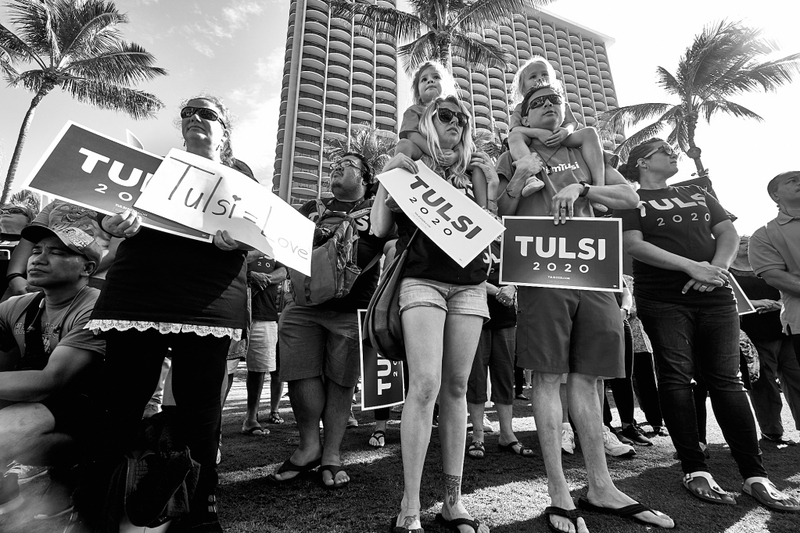 Gabbard supporters at her presidential campaign kickoff rally held on 2/2/19 in Honolulu, Hawai’i. 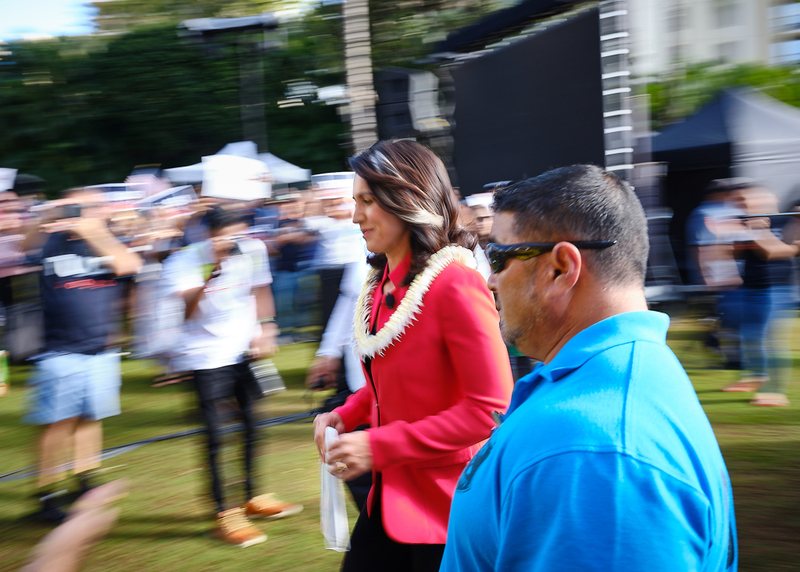 Tulsi Gabbard heads to the stage at her presidential campaign kickoff rally held on 2/2/19 in Honolulu, Hawai’i. 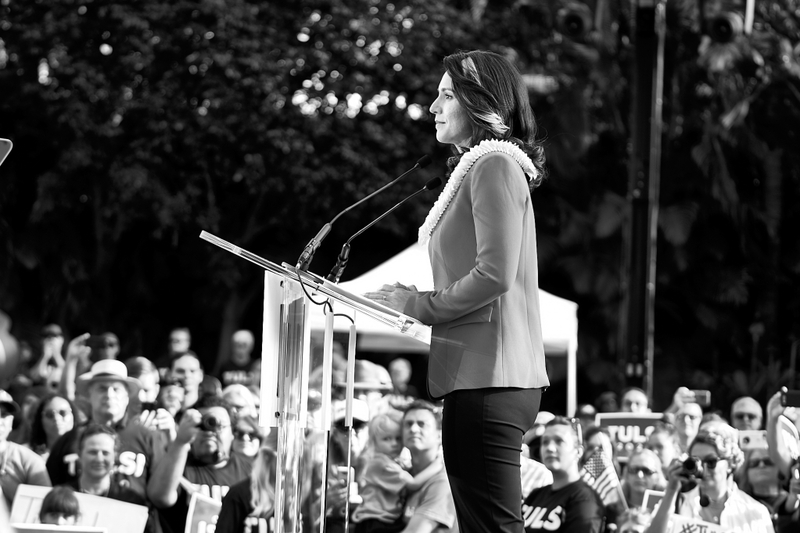 Tulsi Gabbard takes the stage at her presidential campaign kickoff rally held on 2/2/19 in Honolulu, Hawaii. 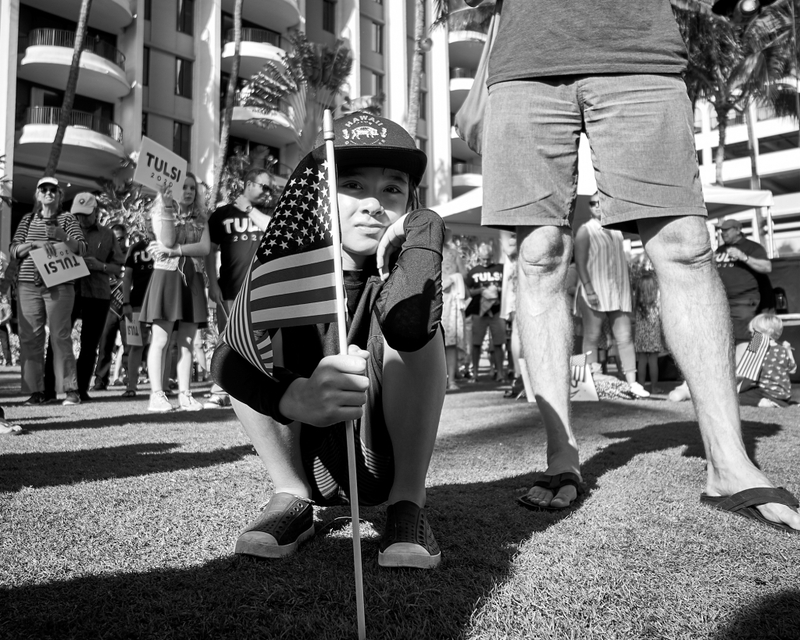 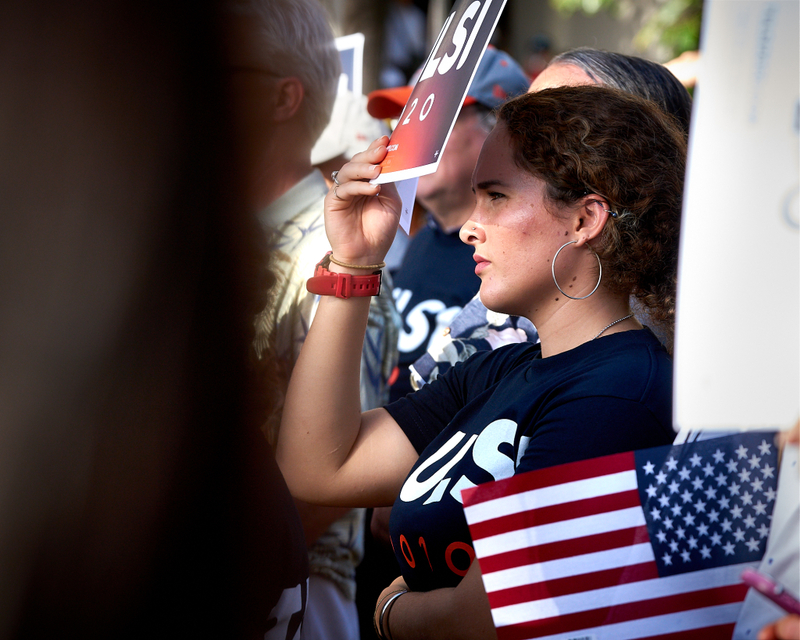 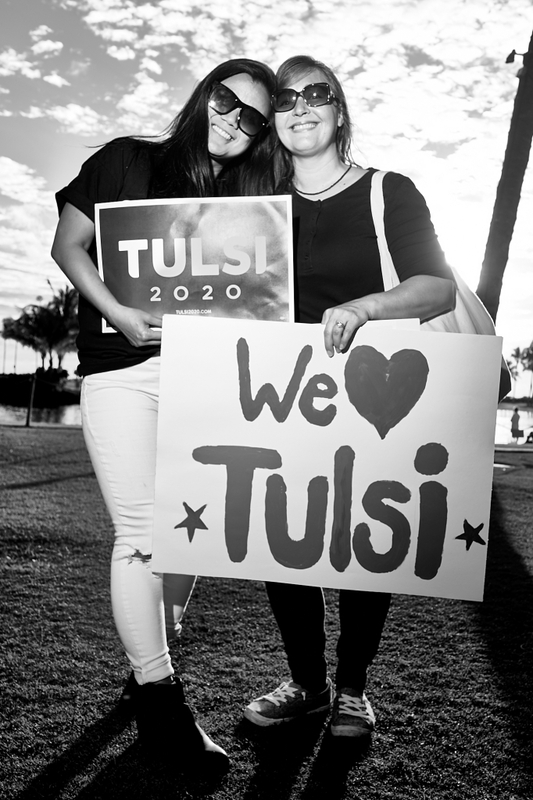 Gabbard supporters at her presidential campaign kickoff rally held on 2/2/19 in Honolulu, Hawaii. 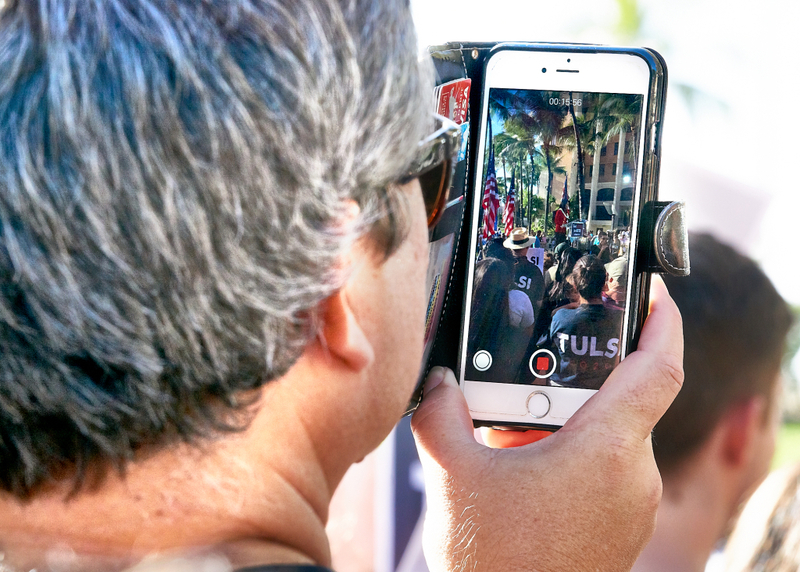 Tulsi Gabbard speaking to supporters at her presidential campaign kickoff rally held on 2/2/19 in Honolulu, Hawai’i. 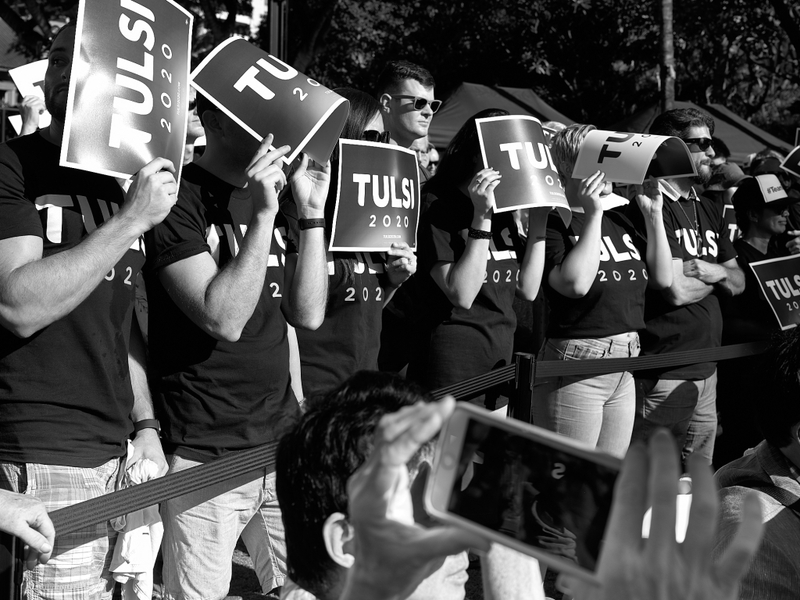 Tulsi Gabbard’s presidential campaign kickoff rally held on 2/2/19 in Honolulu, Hawai’i. 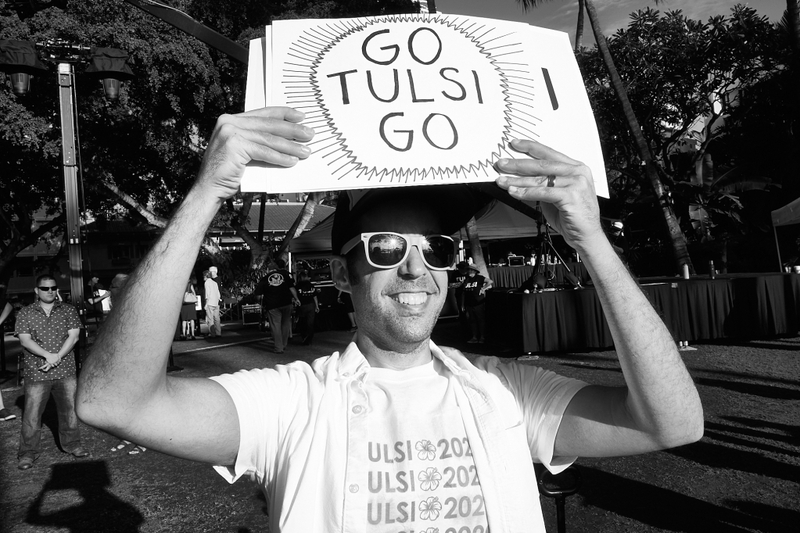 Tulsi Gabbard supports at her presidential campaign kickoff rally held on 2/2/19 in Honolulu, Hawai’i. 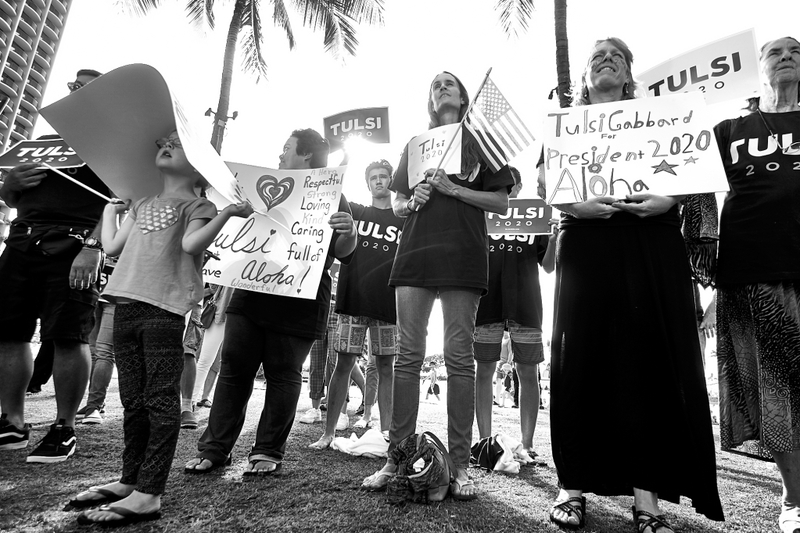 Tulsi Gabbard’s presidential campaign kickoff rally heldon 2/2/19 in Honolulu, Hawai’i. 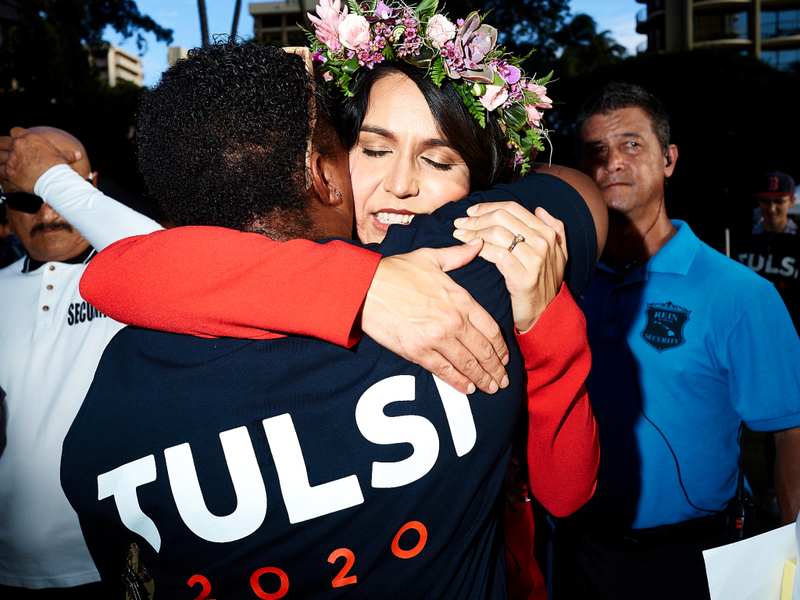 Tulsi Gabbard greets supporters at her presidential campaign kickoff rally held on 2/2/19 in Honolulu, Hawai’i. 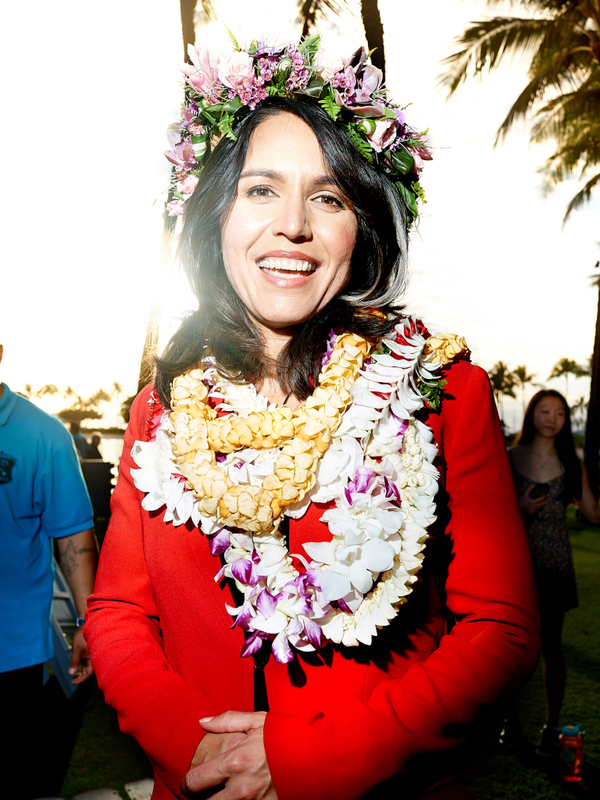 Tulsi Gabbard greets supporters at her presidential campaign kickoff rally held on 2/2/19 in Honolulu, Hawai’i..
Tulsi Gabbard wearing Hawaiian leis given to her by supporters at her presidential campaign kickoff rally held on 2/2/19 in Honolulu, Hawai’i. 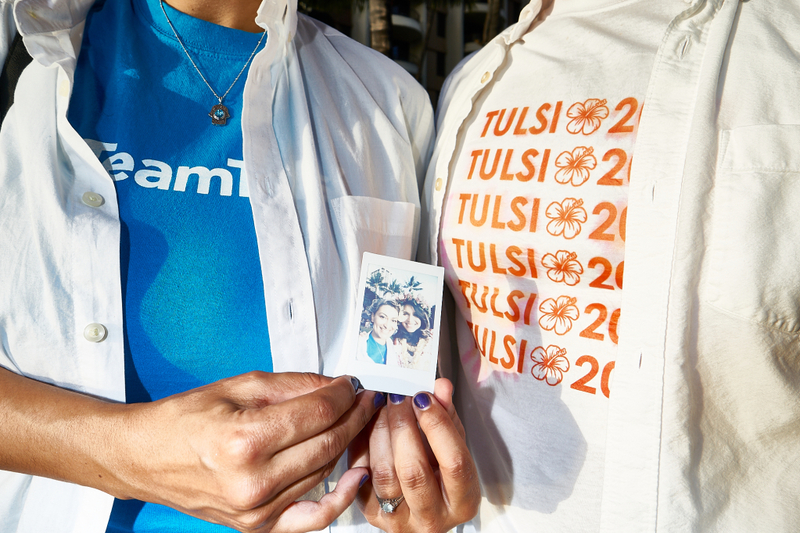 Gabbard Supporters hold an instant photo taken with the candidate at her presidential campaign kickoff rally held on 2/2/19 in Honolulu, Hawai’i. 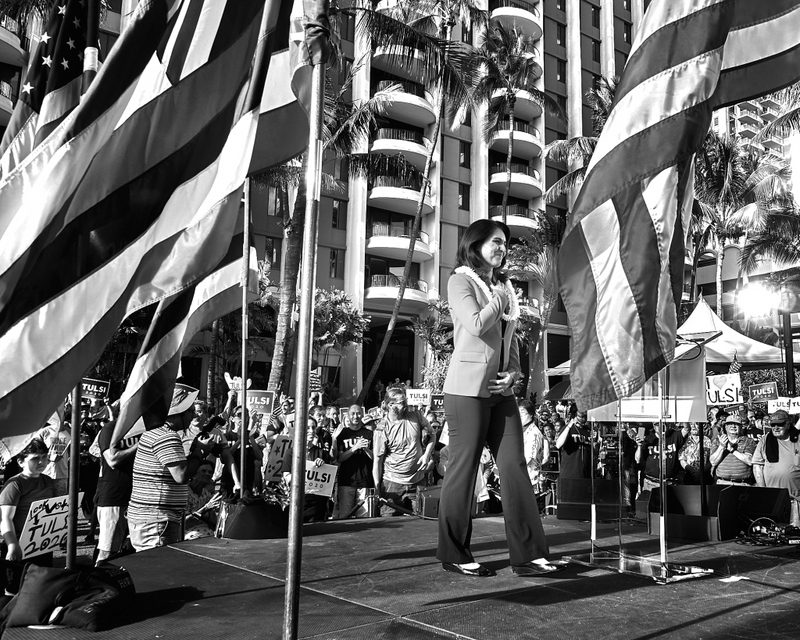 Tulsi Gabbard at her presidential campaign kickoff rally held on 2/2/19 in Honolulu, Hawai’i. 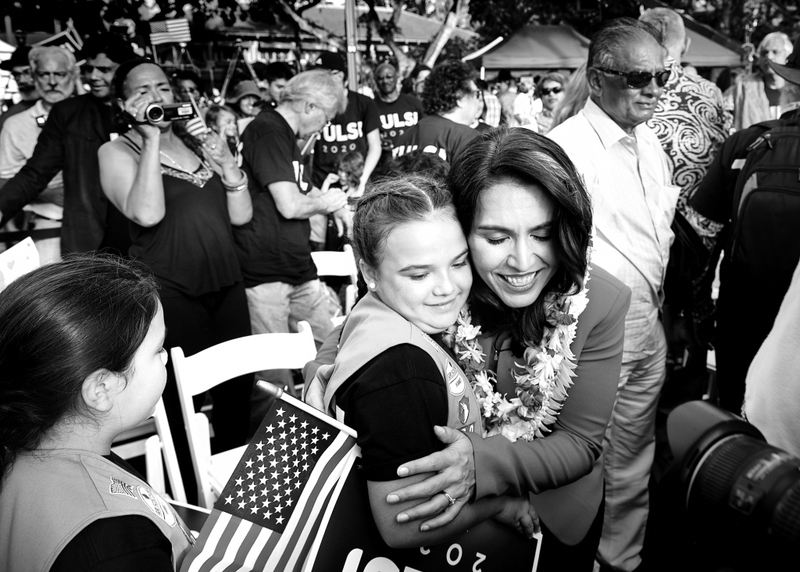 Tulsi Gabbard at her presidential campaign kickoff rally heldon 2/2/19 in Honolulu, Hawai’i. 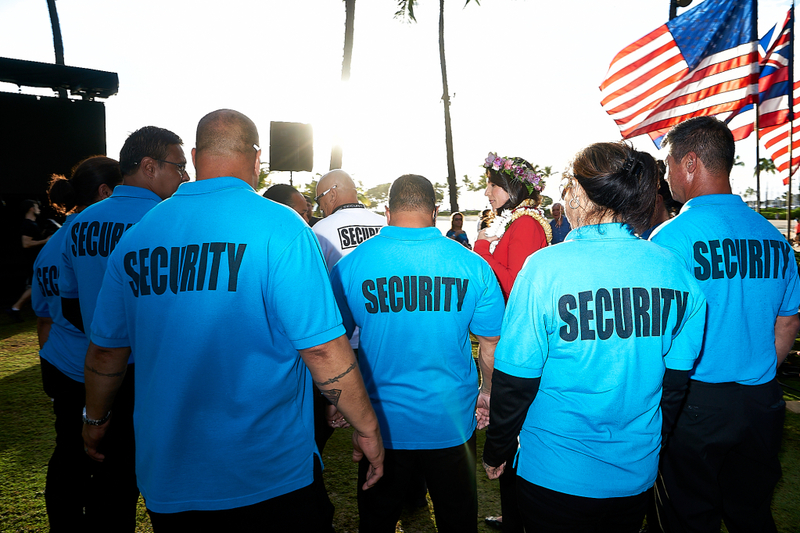 Tulsi Gabbard and event security team at her presidential campaign kickoff rally held on 2/2/19 in Honolulu, Hawai’i. 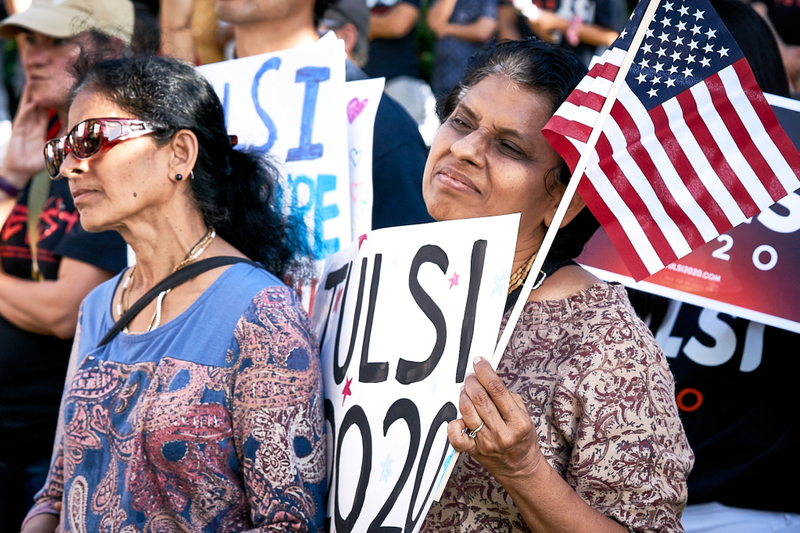 Gabbard supporters at her presidential campaign kickoff rally heldon 2/2/19 in Honolulu, Hawaii.